We are members of a craft group in Saskatoon called the Flock and Gather Craft Collective. The six of us got together about a year and a half ago. 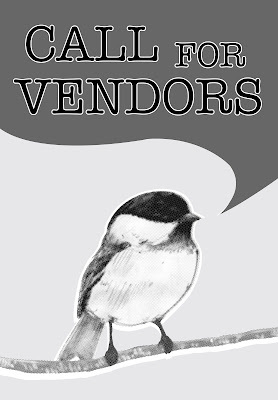 Among other things we organize semi annual handmade markets in Saskatoon. We are currently seeking applications for the Winter Handmade Market. You can check out photos from the previous shows, vendor profiles, and more on the blog. If you've never attended one of the shows or participated they really are a lot of fun. We encourage anyone interested to apply.